Gezamenlijke entree: ruime hal die naar de deur van het appartement aan de linkerkant leidt. Entree appartement: trap leidt naar beneden naar appartement. Lounge / keuken / diner: gaskookplaat, oven en grill. Koelkast met vriesvak, magnetron. Eettafel en stoelen, tv met Freesat. Dvd-speler en iPod-dockingstation. Badkamer: grote douchecabine met elektrische douche. Toilet, wastafel. Parkeren: Krasloten zijn voorzien voor gezoneerd, lokaal parkeren op straat. Dit gebeurt op basis van wie het eerst komt, het eerst maalt. Verwarming: centrale verwarming op gas. Korte pauzes: niet geaccepteerd tijdens de spitsuren. Notities: Handdoeken worden verstrekt. Wifi. Niet roken in deze accommodatie. Reizen kinderbed en-stoel op aanvraag beschikbaar. Buiten: gemeenschappelijke tuin aan de achterzijde voor opslag van benodigdheden. Struggled to find parking, mainly due to the nearest car park being closed due to work on water services. Surprised to find that a Christmas Tree and decorations still in place. Apartment was satisfactory, toilet / bathroom is tired (struggled with the flushing of the toilet) as well as the windows to the road could benefit with being replaced which would help to reduce the noise from pedestrians/traffic. We were unable to locate any tea towels. However the apartment is convenient for the centre of Whitby for a weekend break and we would consider it again, but it would be dependant on the price. This little gem is lovely, cosy without being cramped, with everything you could wish for and more. 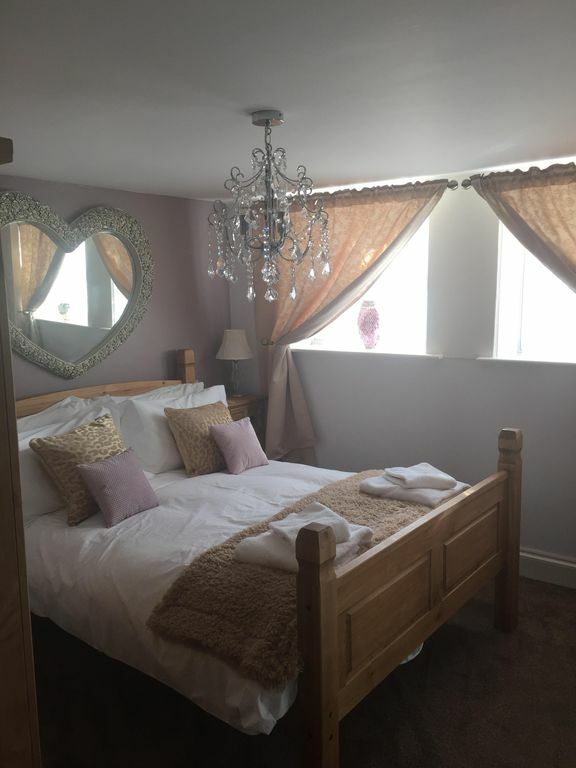 Very comfortable , clean and warm, and the owner is very helpful and pleasant, we will definitely go back, we've stayed in many places in Whitby and this is one of the best. Thank you Sinead for letting us have your lovely property for a few days. Amazing apartment, really comfortable and clean. Really great location, booked an extra night was lucky the apartment was free. Would definitely recommend. I can imagine it will get very busy at the height of the season so would recommend booking early. Would definitely stay again. Perhaps not so suitable for people with mobility issues because of the steep stairs down into the flat, but a great base. We have thoroughly enjoyed our stay at the swordfish cottage. We can’t thank the owners enough. It’s was very clean and well equipped. We will definitely be back. It is in the perfect place. Away from the hustle and bustle but only a five minute walk into town.